One person's perspective of a Broomfield journey to Ueda. 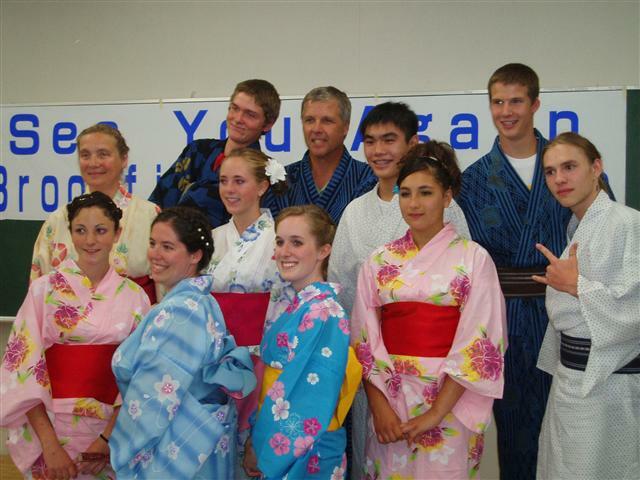 During the summer of 2008, nine Broomfield-area high school students—from incoming freshmen to graduating seniors—and three chaperones traveled to Ueda. Some of the students were already seasoned travelers. Some weren't. By the end of the trip, all had experienced an unforgettable journey. More than tourists, we were travelers. We lived for about a week with Japanese host families, with their rhythms and routines. More often than not, conversation was a lot of work - because Japanese language skills on our side were way more limited than the English skills of our hosts. But conversation isn't the only form of communications. Between baths at the hot springs, catching fish with bare hands from the river, watching fireworks, swimming, and barbecuing, we somehow learned about our hosts as they learned about us. Food is a handy metaphor for our trip. Before we left, some of our young ambassadors planned to eat "only chicken and rice" for the duration. Our last meal in Tokyo before we left for the flight home, however, everyone ordered unique items from the menu, and any chicken and rice combination was a part of the meal—not the meal itself.